From L-R: Alganesh, 27; Meron, 8 months; Ruth, 3; Yonas, 8. Days after my uncle was killed by the Ethiopian military in 1980, my grandparents helped pack my parents’ bags, filling them with light snacks, lentils, and canteens of water. During the Eritrean War of Independence, all military-aged men had become targets for swift execution by Ethiopia. My grandparents had just lost their eldest son to the violent tactic aimed at squelching resistance, and they decided my father’s chances of survival were slim if he and their recently wed daughter didn’t flee. My mother was just 17. Eritrea’s post-colonial history mirrors that of multiple former colonies across Africa. After World War II, decolonization from European rule brought about a mixed bag of revolt in nations seeking statehood and sovereignty; many were faced with subjugation instead. In the case of Eritrea, the region’s governance was handed to Ethiopia by a United Nations resolution. The Eritrean battle for independence began in 1961 and lasted 30 years, until 1991, when they finally won. But back in 1980, with minimal preparation, my parents were sent off on what would be a treacherous 400-mile journey to Sudan. By foot. The trip would take several weeks, and the hike was filled with dangers of its own. The wilderness was home to packs of blood-thirsty hyenas, food was scarce, and they would remain military targets throughout the trek. They stayed hidden by day and traveled by night. Eventually, my parents arrived safely. Many of their friends who had taken their chances on a similar route weren’t as lucky. Though filled with kind strangers who would welcome them into their homes and offer them food and odd jobs, Sudan was a difficult adjustment. It was a culture shock for two people who had never traveled outside of their home country. They were without family, and had to pick up Arabic in order to work. When they arrived, they knew Sudan wouldn’t be their final destination. Soon enough, my parents obtained visas to work in Saudi Arabia for a member of the royal family. There, for a few years in the ’80s, they found some stability. My younger brother and I were born in Riyadh but would never be considered citizens. The oil-rich country has notoriously exclusive citizenship laws but an enduring need for migrant workers to support its economy and class structure. My mother worked as a kadama (servant) while my father earned a wage as a driver. Those work visas would turn out to be our saving grace. In 1990, Saddam Hussein invaded Kuwait. 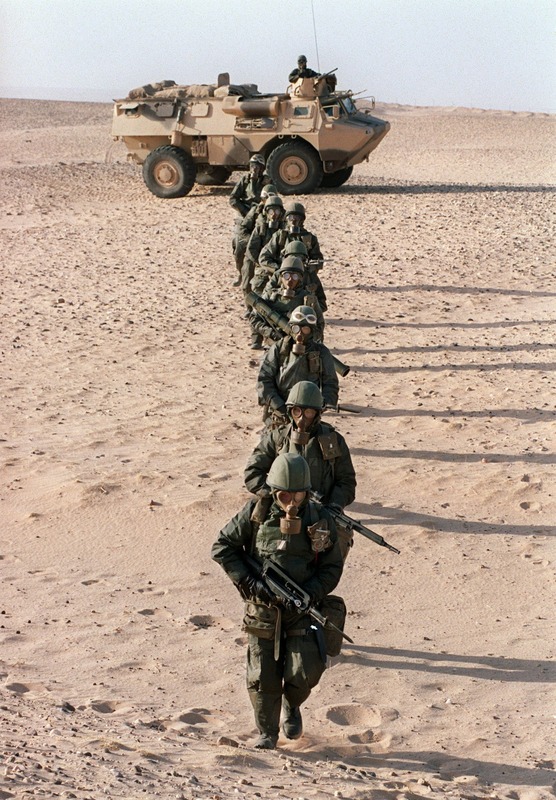 A high level of uncertainty swept the country while the United States geared up for Operation Desert Shield. Schools across Saudi Arabia, including the one my brother attended, were temporarily shut down. Our family was faced with yet another reason to flee. By this point, my parents’ boss was also uneasy remaining in Saudi Arabia, given the political circumstances. She booked a flight to New York and brought along my mom, my two siblings, and me. We soon made our way to the Canadian border. This time, instead of arriving with my father, my mother arrived with an 8-year-old, 3-year-old me, and a 7-month-old baby. When my mother got to the Canadian border, she was looking for what all parents want: a safe place to raise her children. Her plan was hopeful and naïve, but it worked. If you ask her today how she, an illiterate 27-year-old mother of three who spoke no English, made her way to Canada, she’ll tell you what she told border officials 25 years ago: “I heard Canada was welcoming to refugees.” And it was. Rather, it was in 1990. Canada swiftly confirmed its reputation and granted our family asylum. We were given refugee status in weeks. By 1995, we were full-fledged citizens. Ten years after first arriving, we were able to use our citizen status to sponsor my father to join us in Canada. The saga of constant relocation was finally complete. The struggle, however, was not. 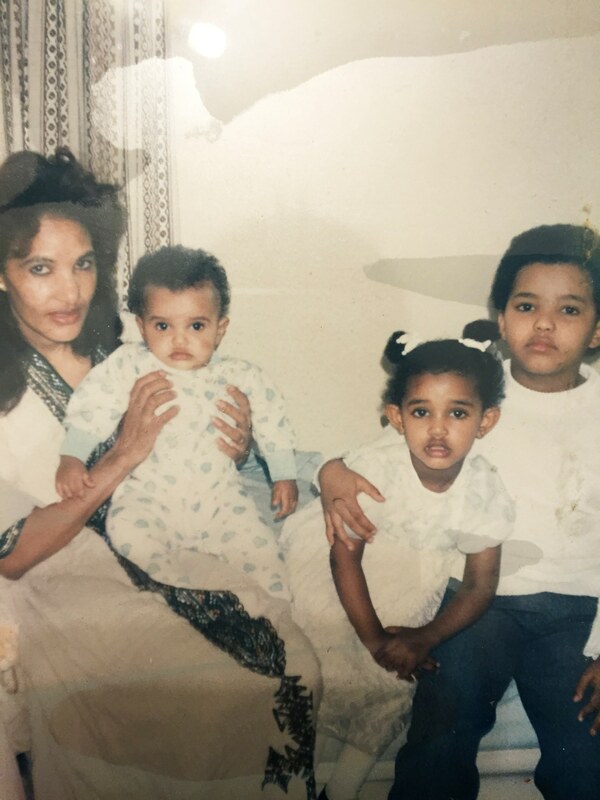 My mother would go on to lose two more siblings in the border dispute that erupted between Eritrea and Ethiopia in 1998, an ongoing conflict that keeps Eritrea in a guarded state of “no war, no peace” to this day. Parenting involves providing guidance through a world with which you are at least somewhat familiar. But how do you effectively guide children when you don’t all speak the same language? Growing up as an immigrant in a single-parent household wasn’t easy. In general, parenting involves providing guidance through a world with which you are at least somewhat familiar. But how do you effectively guide children when you don’t all speak the same language? How do you help them with homework if you were pulled out of school in the third grade? How do you confidently lead a household when you heavily rely on your children to help you navigate your surroundings? These are just a few examples of the daily challenges my mother faced. For many, being an adult immigrant often means letting go of the “old country’s” way of life. My mom had to press reset for the third time. As for the kids, we were young enough that helping each other out by being active members of our family was the only life we knew. We were, in many ways, protected by my mother’s unrelenting attempts to assimilate. Though we frequently approached adjusting to Canadian society with a Martian-like perspective—e.g., why is Cool Whip in the freezer section if it is not in fact some sort of cheap, soft-serve ice cream alternative?—at every turn there was an attempt to level the playing field by providing the “typical Canadian experience.” We went ice skating every winter and attended day camp during the summer. We took swimming lessons and visited the public library on weekends. My mom and I shared books and learned to read together. My brothers played for local hockey, baseball, and soccer teams. I opted for ballet, art classes, and absorbing as much television as humanly possible. My mom eventually earned her diploma and landed a job in geriatric nutrition. Opportunity presented itself left and right. Today, refugees don’t get to experience the literally life-saving hospitality Canada was once known for globally. Over the last decade, our government has guarded our borders. Austerity measures at the federal and provincial levels dismantled the social programs that quickly helped grant my family affordable housing, healthcare, and access to public education. Asylum-seekers who show up the way my mother did are considered threats and face rejection. Some are even held in detention indefinitely until the country can determine where to send them back. Most recently, thanks to a post-9/11 fear of terrorism, the federal government has even devoted attention to restricting religious womenswear during citizenship ceremonies, as if this is the way to establish solidarity in a nation with a changing face. It’s ironic for a country erected on stolen land. What we now know as Canada once served as refuge for British and French settlers. Immigrants, many of whom faced persecution in Europe, violently annexed land from indigenous peoples. As I hear countless stories from the migrant crisis unfolding across Europe, it’s easy to feel overwhelmed into defeat. Almost as soon as my heart broke when photos of Alan Kurdi’s tiny lifeless body made headlines, there were critics who cautioned the public not to let their emotions be manipulated. It was as if they were saying our collective humanity would interfere with necessary suffering. There are solutions to these global problems that don’t involve further marginalization, and it seems like once upon a time we believed that as a nation. Perhaps Canada’s recent election, which ousted the Conservative government, was how voters expressed that belief. 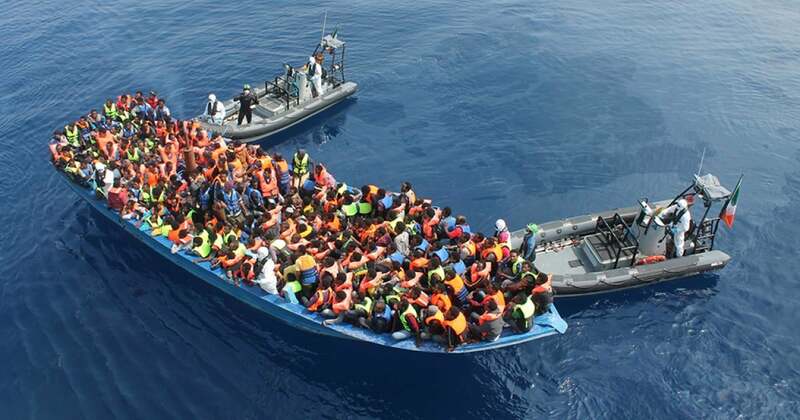 A refugee’s struggle may always be to accept and adapt to pain in order to move forward. As citizens of countries with vast resources, our duty is to make room for immigrants and help them find ease amidst what are often already difficult lives.